Kechi Challenge 2017 Kit consists of 17 yards of 100% cotton fabric. When you purchase the kit, you will be signed up for the Challenge. Use any pattern, style technique that you desire BUT it must be 65" x 85" or larger when finished. Finished product must be returned to our shop by March 31st in order to be displayed in the Country Quilt Stroll in April and voted on for 1st, 2nd, and 3rd prizes. 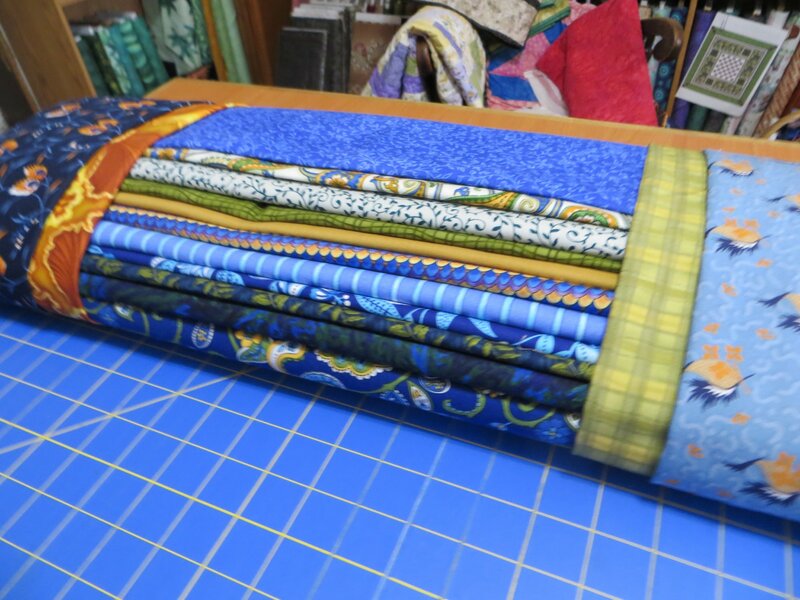 Fabric pieces include 1 - 3yd cut, 2 - 2 yd cut, 4- 1/2 cuts, and the rest are 1 yd cuts.